Robots In Our Future - The Future Is Here! In February 2011, after this page was written, IBM demonstrated computer understanding with the Watson Supercomputer, which recognizes patterns in text data to comprehend the meaning of this page. The world has changed! The robots in our future will, one day, be able to read and understand this page. Future computers may, in time, achieve the key component of intelligence - human understanding. Understanding is a process of identifying, remembering and recalling the patterns in the interaction of objects. Computers will not only be able to recognize "John, "glass," or "water," but also the sentence "John came home and drank a glass of water." This website lists the current limitations to such a capability in computers. To achieve this level of understanding, computers will need a galactic memory store and the ability to access that memory in real time. Historical compulsions will make robots resemble humans. When mass produced robots compete with human capabilities, the majority of today's jobs will disappear. But, the huge accumulated wealth of governments and companies will justify universal unemployment benefits. World scale industries will cater to the requirements of food, shelter and clothing. The monetary system will match supply with demand through massive marketing and distribution networks, The long tail of demand will create huge opportunities in every field for offbeat products and services. Entire sectors of industry and services will disappear. Emotions enable humans and animals to coexist. They provide an optimum control system for the social interaction of robots, where a range of predefined behavioral options manage motor controls. By mandating the emotional modules, which determine behavior, governments will control robots. A pervasive security system will deal effectively with recalcitrant robots. With unlimited potential for scientific research, innovation, marketing and self improvement possibilities, the meaningful search for a better life will persist into the future. Nerve cells can store and access unimaginably large memories through combinatorial coding. 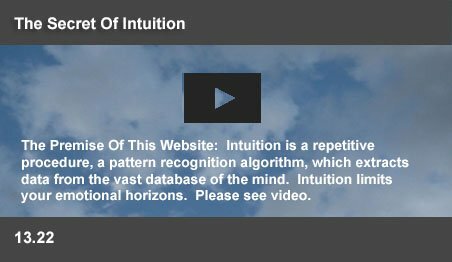 Intuition is a pattern recognition algorithm, which can extract contextual answers from that memory within milliseconds. When these memory and access problems are solved, computers will be able to read this article and understand its significance. Since such intelligence can also be incorporated into robots, the world will change. 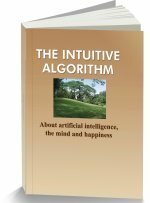 This article looks at the possible ways in which a future generation will handle this paradigm shift in man/machine relationships. The principal robots in the future are likely to resemble humans. History often mandates such choices. The cities and transportation systems of the world have been designed to suit human movements. Trains, cars, airplanes, lifts, staircases, doors, cupboards and rooms have been designed for humans. The first level of robots will be designed to replace human labor. Robots should be tall enough to reach a high shelf and be small enough to go through a manhole. So, it is more than likely that robots will also be designed on the human scale. There will always be small indoor robots like vacuum cleaners, or large outdoor ones like cars, or automated industrial machines. But, worldwide, indoor jobs will inevitably employ vast numbers of human scale robots. Subsequently, the “legacy” issues, like replacements, retrofitting and compatibility of control systems will perpetuate those designs. Billions of people need assistance in varied living conditions. The technology within robots will be far too complex for small scale manufacture. Worldwide demand will be in hundreds of millions and world scale manufacturing plants will drive down costs to a level, where robots will be cheap replacements for human labor. Low cost and sensible robots will drive people out of most of the jobs in the world. At the same time, such massive mechanization of all forms of production and administration will make governments and companies rich. Since large scale unemployment will be disastrous for such a rich economy, universal unemployment benefits will ensure that the population will continue its high standards of living. The Soviet Union proved that the lack of an active marketing network would create massive surpluses and shortages. Too many tooth brushes made the command economy impractical. Thus, the world scale plants, which produce the basics of food, shelter and clothing will have huge distribution and service centers, manned by robots. While major production could be in large scale plants, the long tail of the economy will stretch virtually endlessly. Innovative products and services will constantly require new marketing channels, and selling techniques. The long tail will provide opportunities for entrepreneurs to make fortunes and live in greater luxury than the average population. Entrepreneurial risk taking will be strongly in demand in such an automated society. Robots with human level understanding can be intelligent, caring, thoughtful and efficient. Robot school teachers will have access to the latest teaching trends and be able to understand the learning needs of each child. Hotels and restaurants will have courteous and helpful robot staff. Retail outlets and sales offices will be manned by robots. Doctors, surgeons and nurses will be replaced with robots having the latest medical knowledge. Banks and financial institutions will be manned by robots. Extensive communications surveillance, closed circuit cameras and robotic police will act effectively to prevent crime. The disastrous consequences of such a robot controlled world will be limited by mandating the predetermined emotional responses of robots. Just as governments now dictate the security formats of cell phones and internet communications, they will dictate the emotional capabilities of manufactured robots. Nature has designed a magnificent control system for the communal living of intelligent entities. Human beings and higher animals are controlled by emotions. Their motor systems have behavioral patterns dictated by emotions. Guilt, shame and fear prevent humans from acting unsociably. While hands and legs have sophisticated feedback mechanisms, it is the brain, which decides whether a hand should strike in anger, or caress with love. The basal ganglia and the cerebellum store and deliver complex behavioral patterns, which respond to each emotion. Anger makes an animal attack. Fear makes them freeze, or withdraw. And love makes them protect. Those emotions are triggered by function specific organs in the limbic system, which has sophisticated circuits, which nominate the current emotion. Those emotional neural circuits will also prevent unsocial, or self destructive behavior in robots. Their motor components will mechanically respond to the control instructions from its government mandated and positive social emotions. The police surveillance system will deal with undesirable behavior. Humans have pet animals, which are quite capable of attacking them and causing them physical harm. Emotional controls prevent those pets from doing any significant damage. Any animal lacking restraint is confined, or destroyed. Human and animal emotional behavioral patterns have been assembled by history over millions of years. They involve cubic miles of programmed memories within nerve cells. Each emotion can control complex behavior in even exceptional circumstances. A caring action has clear behavioral patterns, whether in the jungle, or in a space ship. A robot with human understanding will require massive programming to be controlled by such emotions, which can produce acceptable social behavior. Only such a robot can be left free to interact with humans in every day situations. Till they develop such a competence, human control will be required for intelligent robots. Human emotions include fear, anger, jealousy, sadness, disgust, contempt, curiosity, surprise, love, pleasure, embarrassment, guilt, and shame. While many of the social emotions control behavior in society, the negative emotions of anger and jealousy were designed by evolution for competitive survival. In a civilized society, such behavior is unnecessary. Thus government controls can mandate the emotions, which should not be incorporated into robotic brains. Widespread policing in such a world can prevent erratic robots from entering the human network. The pleasure emotion powerfully motivates the human brain. Sexual attributes, needed for procreation, required such responses. Even good behavior pleases. The robot brain can be designed to derive pleasure by providing service to humanity. The take over by robots of manual and primary intellectual labor will leave humans to explore and enjoy the exciting world. With the scale and magnitude of the macro and micro universe, there can never be a limit to the acquisition of human knowledge. Vast research laboratories will continue to function. Human needs and satisfactions will also provide unending options for the production and marketing of better sensory experiences, self improvement systems, educational opportunities, entertainment options and social networking possibilities. Since no market can ever provide all people with all their needs, inequalities in the distribution of assets will always remain. This will inevitably leave social inequality, which motivates people to invent and market new products and services to be able to own a better space ship, or island home. Life can still be meaningful and happy. This page was last updated on 05-Apr-2016.